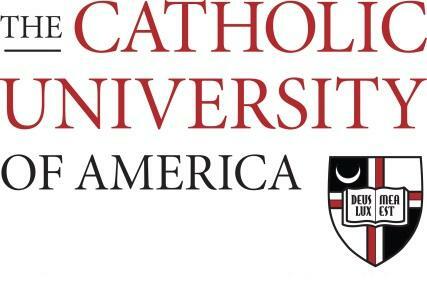 The purpose of the library system of The Catholic University of America is to support and enrich the instructional, research, and service programs of the University. The Library, as an integral component of the academic process, provides access to our cultural and scientific heritage through library resources and services and cooperates actively with the faculty and students in the teaching, learning and research process. In recognition of the University's position as a Catholic institution of higher education, the Library also has the responsibility for sharing resources and services with both the Catholic Church and the scholarly community. equip users with the skills and resources needed for continuous lifelong learning. The Library organizes, manages, and preserves unique books and materials that serve as records of our Catholic intellectual heritage and culture through special collections including those in Rare Books/Special Collections, the Semitics/ICOR library, and the American Catholic History Research Center and University Archives. Visitors must use metered spaces on campus or may purchase a visitor's permit from the Campus Transportation Management/ID Office. Catholic University is on the MetroRail Red Line. At the Brookland-CUA station, exit to the left and cross John McCormack Road. Mullen Library is visible to visitors exiting from the station and crossing onto campus. All patrons, both CatholicU and non-CatholicU, must show a photo ID when entering Mullen Library. Patrons with non-CatholicU or WRLC IDs are asked to sign the guest book. Mullen Library reserves the right to check all bags as patrons exit the building. Borrowing privileges are extended to CatholicU faculty, students and staff and to eligible faculty and students from WRLC institutions. Visitors are welcome to use materials in the libraries. Overdue books are fined at 25 cents per day up to a $25 maximum. Historical manuscripts (papers of 19th-20th century labor leaders, including T.V. Powderly, Philip Murray, John Mitchell, John Brophy); records of the National Catholic Welfare Conference, National Catholic Educational Association, and Catholic Charities, USA; and papers of Catholic social activists such as John Augustin Ryan and Francis Joseph Hass. Celtic Philology, Catholic Americana, the Clementine Library, the Foster Stearns Collection on the Knights of Malta, the Oliveira Lima Library (Luso-Brazilian materials), and Semitics and the Institute of Christian and Oriental Research. Catholic newspaper titles include L'Osservatore Romano, from 1849.